 TheQueen.com : Did Mike Berkens buy this domain for his puppy? :DomainGang TheQueen.com : Did Mike Berkens buy this domain for his puppy?  Domain investor Michael Berkens is not only a popular domain investor, blogger and new gTLD supporter, but also the owner of cute dogs. He and wife Judi are “parents” of two remarkably cute Yorkie Terriers, that are often paraded with pride on Facebook. The recent sale of the domain TheQueen.com on NameJet, commanded $5,500 dollars, a great price paid for a royal domain. 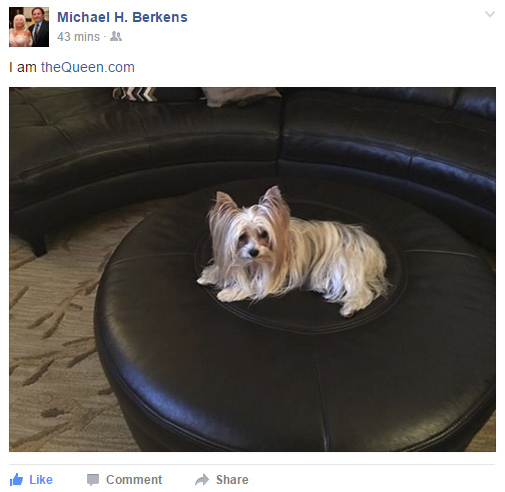 In a cryptic post today, Micheal shared a photo of his female dog, Juliet, sitting comfortably, with the note: I am TheQueen.com. It appears that the secret buyer of TheQueen.com is Michael, in which case, congratulations are due.